As adults, we’re tasked with managing anger and behaving maturely even when the moment is asking for an expletive. Sometimes, we succeed in doing so. Sometimes. For the young women representing Atlee, Virginia, in the Little League World Series softball tournament, the moment got away from them. The team responded to smack talk on the field with a Snapchat featuring half a peace sign. They won the game (1-0) in which the opposing team from Kirkland, Washington, had a player and coach ejected for stealing signals. Still, there was a parting message they wanted to “share”. They’re teenagers (12-14 years old) and teenagers do teenagery things. For this, the team was disqualified from the championship game. The organization’s rules recommend that discipline is first handled by the participating coaches. When Atlee coaches learned of the post, it was deleted and the team was made to apologize. It’s unclear who the apology was given to. You had me at tried to do the right thing, coach. Adding the bit about “defend ourselves” is a bit puzzling. From what exactly? Thou has the right to giveth the bird on Snapchat? Why not have the team stand flat footed and articulate why they did what they did, and explain how they would choose differently if given another opportunity to do so? They should’ve been given a platform to speak with the same impudence the SnapChat post was sent. The punishment is especially frustrating when it comes to the journey of young girls. Being able to endure life’s challenges is an invaluable skill-set. If nothing else, our daughters need to withstand the intensity of competition and rise above the fray. The LLWS lost a valuable opportunity to assist Atlee team coaches in reinforcing conflict resolution skills. Talking trash is part of the Xs and Os of sports, work experience and personal relationships. Instead, they were sent back to their hometown where other adults will make excuses for the punishment being too harsh. Hyperbolic statements like “It isn’t a DUI” or “They didn’t cheat” do a complete disservice to the value of youth sports. 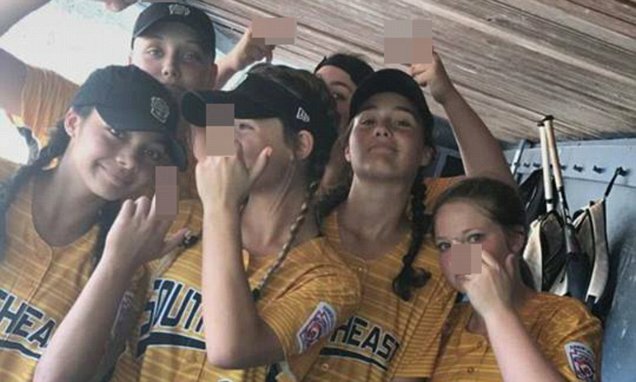 At the very least, the young women involved did violate the rules of sportsmanship. Raising three rascals of my own has taught me many things. And by things, I mean don’t teach them how to get better at not getting caught. Which seems to be an unintended consequence of the league’s heavy handed response. Sport governing bodies don’t always get discipline right. In this case, they got everything wrong. Everything. The priority shouldn’t be the punishment. The priority is finding a way to encourage athletes to compete and be of good character. We can do both. And we should. Watching the emotion of competition meet the strategy of winning is a beautiful moment in sports. The LLWS blew the opportunity to impart a valuable lesson to these young women. In doing so, failed the community of youth sports.